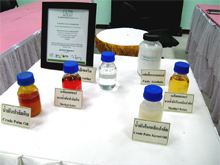 In response to rising demand in Thailand for oleochemicals, which are environmentally friendly biodegradable substances used in applications such as fuels and personal care products, Thai Oleochemicals Co., Ltd. (TOL) has recently completed the construction of a new oleochemical production facility. The new plant is located at the Map Ta Phut Industrial Estate in Rayong, Thailand, which is 160 km southeast of Bangkok, and is capable of annually producing 100,000 tons of fatty alcohol, 200,000 tons of methyl ester (ME), and 31,000 tons of glycerine from crude palm oil. The ME produced at this plant is blended with petroleum diesel to create biodiesel, a biodegradable and clean burning fuel than has the same combustion properties as conventional petroleum diesel fuel. 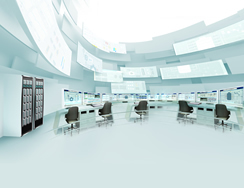 To ensure that the new plant would operate reliably and safely, TOL relied on a solution from Yokogawa based on the CENTUM CS 3000 Integrated Production Control System and the ProSafe-RS Safety Instrumented System. Multiple licensors and consultants were involved in this project, so a key issue was maintaining consistency in all the information and specifications handled during the engineering stage. From the beginning of this project to the completion of the plant startup phase, Yokogawa's engineers worked with everyone on the project team to ensure a successful conclusion. Only four months were allocated for hardware installation and plant start-up. Within this tight timeframe, the CENTUM CS 3000 and ProSafe-RS system hardware had to be installed in the plant's control and rack rooms and their functions checked. Transmitters were also installed and loop checks were performed. Many software changes had to be accommodated quickly and flexibly. All this work was performed within specifications and on schedule. Plant safety and efficiency also had to be maintained by automating plant operations to the maximum possible extent. 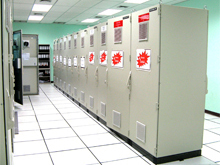 To accomplish this objective, the ProSafe-RS and CENTUM CS 3000 systems were fully integrated. The combination of feedback and sequence control with the graphic display of trend data, alarm summaries, operator guide messages, and other information have greatly enhanced operations at this plant. The highly reliable CENTUM CS 3000 system has also helped TOL maintain high productivity at this facility. 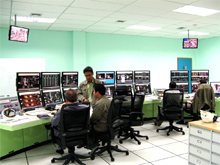 Finally, as TOL only has a few DCS engineers who are available to work on these systems at short notice, the company relies on support provided by personnel from Yokogawa's Rayong service office. Its 24/7/365 support is very much appreciated by TOL. 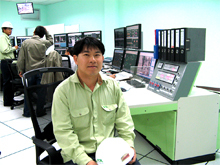 "Yokogawa's engineers were all very patient and cooperative during the early engineering and start-up phases. We worked as one team through to the completion of this plant project," said Sayan Saesue, TOL's Engineering and Maintenance Division Manager. 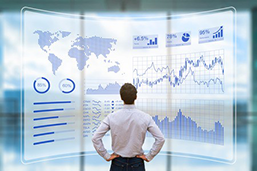 Exaquantum can acquire data from all facets of a process and transform that data into easily usable, high-value, widely distributed information. Exaquantum forms the basis of most Yokogawa OES. 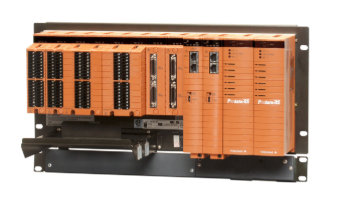 The ProSafe-RS is a Safety Instrumented System that is certified by the German certification organization (TÜV) to meet Safety Integrity Level (SIL) 3 specified in IEC 61508. It has been used in over 2,400 projects, ranging from large scale integrated process automation projects to stand-alone solutions. 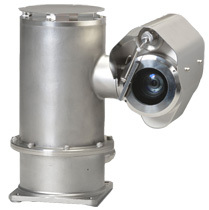 This compact, high performance and explosion-proof monitoring camera exemplifies Yokogawa's commitment to constructing reliable field instruments that are able to withstand even the most severe environments.